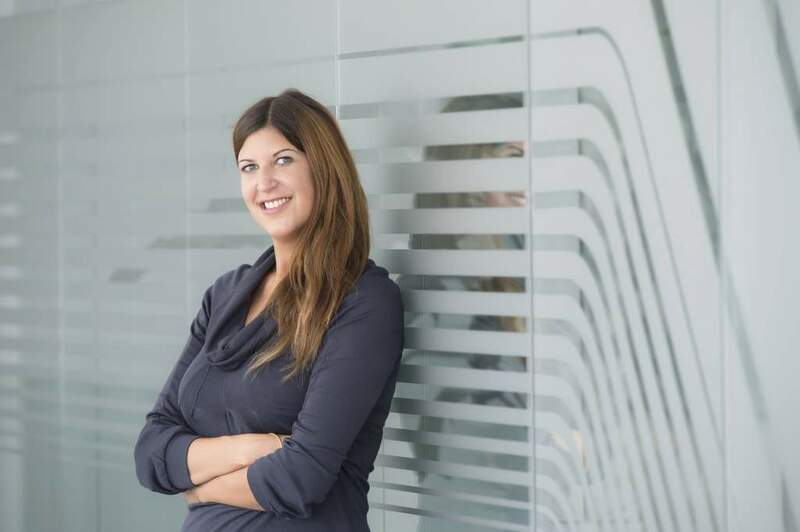 VINN spoke to Vanessa Borkmann – initiator and project leader of the joint IAO research project “FutureHotel” at the Fraunhofer Institute for Industrial Engineering and Organisation IAO – about the present state of the digital hotel world. Ms. Borkmann, for the last few months VINN has been partner of the joint research project “FutureHotel” – we recently covered this in VINN News. Thank you for providing us an insight into the digital hotel world in the scope of the collaboration today. Which goals does the Fraunhofer IAO pursue with the joint research project “FutureHotel” and what are your tasks? FutureHotel as a research compound has the ambition to develop innovative concepts and solutions for the hotel industry. Therefore, trends and requirements of the hotel industry, but also altered requirements from hotel guests and staff are analysed. Also, the usage of technologies and their practicality, today and in the future, are in the project’s focus. FutureHotel’s perspective is equally application-driven and practical as well as scientific and future-oriented. How do you estimate the present state of hotel digitalisation in the DACH region? The potential of digitalisation still lies dormant because it is based in the interconnection of the systems. The road to platform economy surely is right, but still in progress. An exponential development is to be expected, once quantum computing and blockchain as well as artificial intelligence, thus machine learning, unfold their power. Also, a 5G Infrastructure is a first important premise. Today, we are still in the beginnings of this development. There are very many proprietary systems and isolated applications instead of interlinked digital ecosystems. Repeatedly, innovative approaches fail due to unavailable interfaces, and today, content-design is still a challenge. Partially, large data is available, but they are not held available in a utilisable quality. When IOT, the Internet Of Things, is widespread, more data will be generated, too, which leads to better data evaluation. Hereupon, AI can be built up. All these developments have just begun in Germany. When regarding China exemplarily, the digitalisation already has reached another level due to different general conditions: Mobile Payments are standard there, and a participation in public life without smartphone is simply impossible. Presently, digitalisation in the hotel business is still strongly focused on the topics marketing, distribution, purchase and sales. Many hoteliers do not approach this topic proactively, but wait instead until they are forced into one solution. Those who do not face digitalisation timely, soon are confronted with a “digitalisation hold-up”. Neutralising this will be extensive and expensive to master, and easily turns into a struggle for survival for an establishment. How will the hotel business develop technically and digitally in the next two to five years? That rather depends on the decision processes in the senior management of the hotel businesses in Germany than on technical feasibility. In newly built facilities, the building technology will become increasingly smart, but the existing houses are slowly retrofitted. In the areas of internet services, marketing, pricing and booking, certainly much is going to happen. New hotel concepts already consider the chances of digitisation stronger and more holistic than established concepts. Which three to four topics of the customer journey will be established already in the new future? Mobile payments, which come with digital payment systems, will get recognition and also the usage of chat bots, conversational AI and speech-based interaction solutions will presumably be found in many areas. Self Check-in and Check-out of the guests as an optional offering will also be part of the solutions that will be widespread soon. What does the “digital guest” already desire or, respectively, expect today? Usually, the visitors aren’t necessarily concerned about experiencing technology or digitalisation. In fact, the guest is more interested in the highest level of comfort. This also includes an intuitive usability of the hotel equipment and infrastructure. Simplicity is key to success here. In addition, guests wish for real time communications and services on demand. For which developments will the “digital guests of today” have to wait some longer and why? „Digital Twin“ stands for the evolution of the digitalisation based on the IOT (Internet of Things). In the future, cross-linked objects will generate data in order to reproduce digital copies of our physical environment. This will represent a further step of digitalisation and permits the usage of Data Analytics. For example, Predictive Analytics are used to foresee certain events. This can apply to services in the hotel or to repairs and maintenance in the hotel building. What advantages does digitalisation offer for a/the hotel operator? Optimised processes, transparency, full ownership of the data, real-time communication, efficiency in staff and resource assignment, data management, data analysis, documentation, knowledge management, interoperability with other service providers and integration with their systems, personalised guest communication, demand-driven distribution of goods and services, optimised hotel- and facility-management system, reduced use of qualified, skilled personnel. Which digital features do you desire during a hotel stay? Good internet performance and the possibility of controlling the hotel room, voice command, Check-in, Check-out, entry and payment via my smartphone, as well as direct communication with hotel staff. These would be sufficient comfort factors. Even more neat would be the option of getting an individual breakfast in a shopping basket and having it served to a certain table in the breakfast room at a selected time. I do not like self-service buffets. Admittedly, most breakfast offerings on a menu are quite dull and the same compositions are offered everywhere. Ms. Borkmann, thank you for the interview and the interesting insights. Next VINN Project – Adina Apartment Hotel Copenhagen The VINN team is growing – welcome Delphine!